In the filing, Apple defines a head-mounted display as “a display device that a person wears on the head in order to have video information displayed in front of the eyes.” The filing continues, “A HMD has two small CRT, LCD or OLED displays with magnifying lenses or other associated optical elements. The display(s) and optics are typically embedded in a helmet, glasses or a visor, which a user can wear.” Apple provides a few instances where the stereoscopic 3-D images might be employed, like surgery using CAT scans and MRIs in the surgeon’s field of vision or for firefighters or soldiers who might benefit from a Terminator-like injection of data into their sightline. Apple, of course, is not alone in pursuing such an idea. 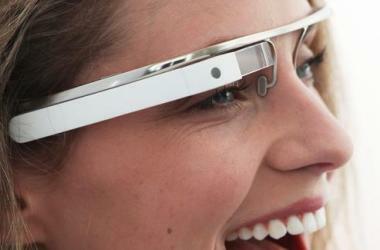 Google plans to release Google Glass, a head-mounted display (pictured), to consumers in 2014. Google was granted a patent for Glass technology in June, a few days before the company’s I/O conference.